The Center for Compassionate Care of The Elizabeth Hospice is hosting a workshop, “Coping with Holidays Throughout the Year,” for anyone who has lost a loved one of any age on Thursday, June 18 from 6:30 to 8:00pm at The Unity Center located at 8999 Activity Rd., San Diego 92126. The workshop will focus on the spring and summer holidays and seasonal events such as graduations, weddings, summer vacation, and birthdays. Experienced counselors will offer practical wisdom and compassionate insight to help you navigate the special occasions and holidays following a loss. 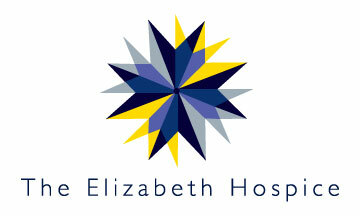 The Elizabeth Hospice (http://elizabethhospice.org) is the oldest and largest nonprofit hospice provider of medical, emotional and spiritual support to the seriously ill and their families in San Diego County. Since 1978, The Elizabeth Hospice has touched the lives of more than 90,000 patients and families in the communities we serve, regardless of their ability to pay. Through its Center for Compassionate Care, comprehensive counseling and grief support services are available for all ages to the community-at-large, regardless of the type of illness or death experienced. To learn more, call (800) 797-2050 or visit our websites at www.elizabethhospice.org or www.cccforhope.org.